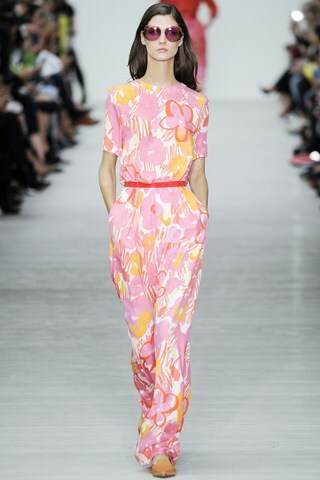 Last September, London, New York and Paris catwalks were awash with acid brights, soft pastels and splatters of print. In 2012, former Jil Sander designer, Raf Simons, claimed the most sought after job in the fashion world and became Dior’s new artistic director. 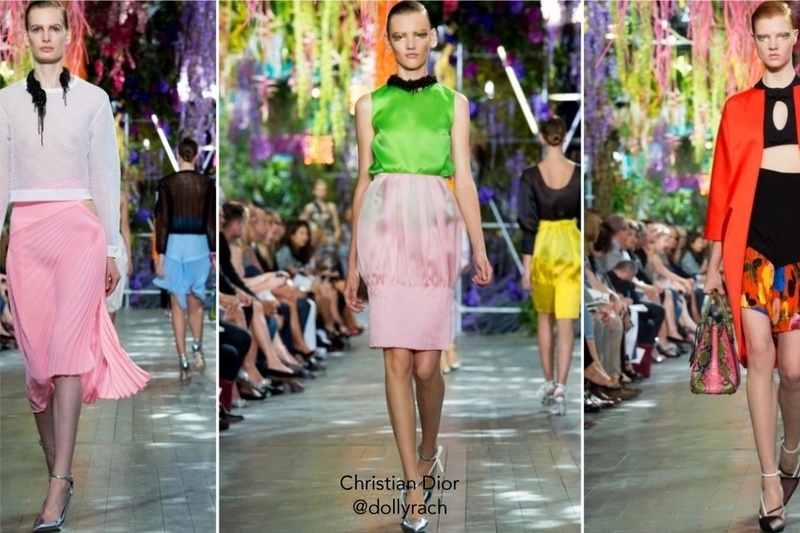 Simons’ influence was evident in Dior’s S/S 14′ presentation as he treated the audience to an ‘Alice in Wonderland’ esque show. It wouldn’t be spring without an influx of printed mini dresses and floral jumpsuits. 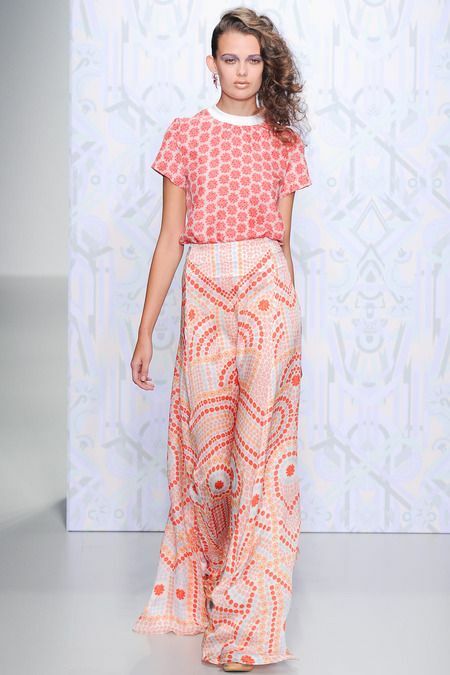 Both Matthew Williamson and Holly Fulton sent floral inspired prints down the runway at London Fashion Week. 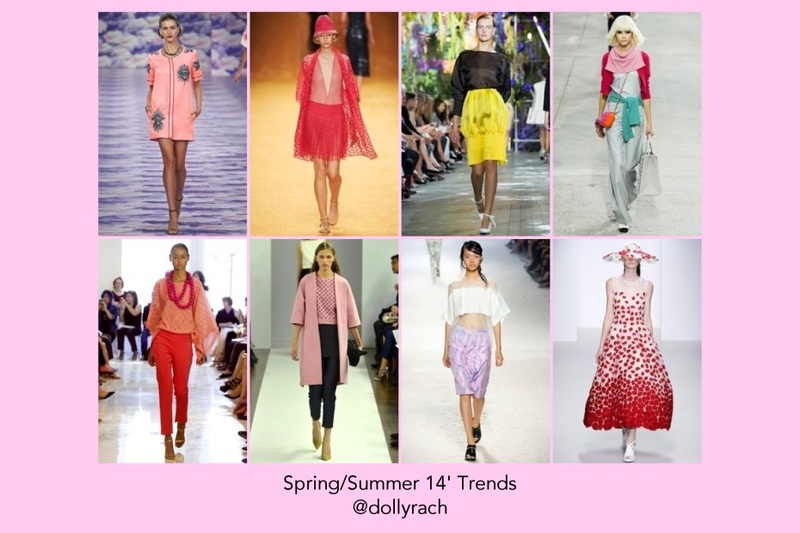 S/S 14′ is all about clashing patterns, prints and colours and teaming them with a well structured blazer or pencil skirt. This is similar to a lot of the collections in 2010 where the mantra was ‘anything goes’ and the key to a great look was not to match. 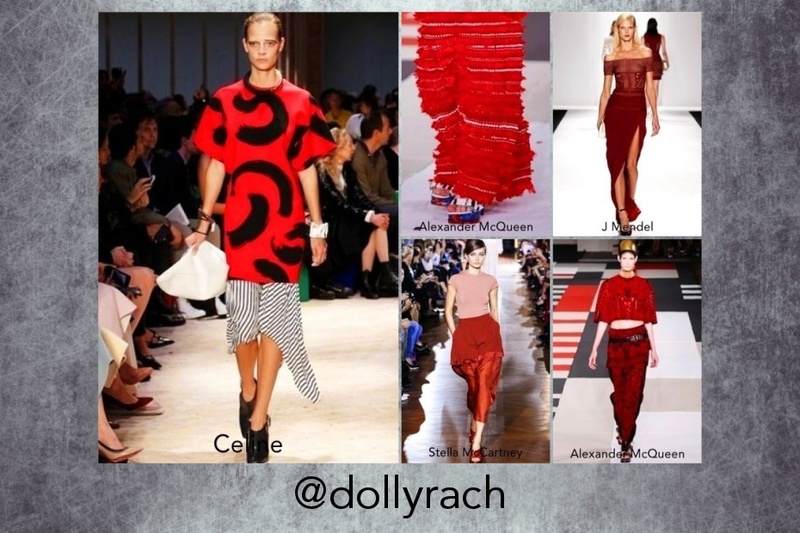 Red was one palette every designer seemed to agree on this season. Alexander McQueen, J. Mendel and Stella McCartney were among those showcasing this particular shade in their presentations. 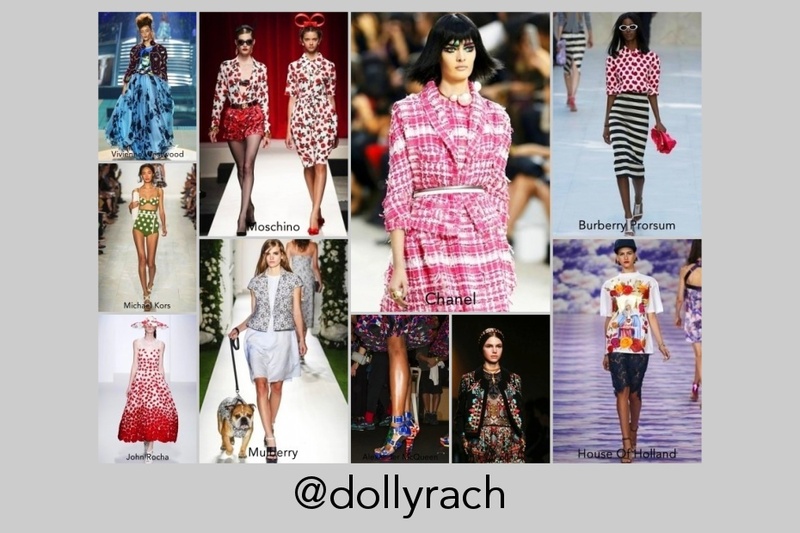 From Burgundies to corals, to red in it’s purest tone, every catwalk was consumed with the fiery colour. Red was also a big contender for A/W 13′ so theme anything you already have with lighter spring fabrics and fresh accessories for an updated look. One of the best things about Spring is the soft, powdery shades of pink and blue. These laid back tones are easy to wear regardless of your skin tone. Burberry Prorsum are once again the epitome of this trend. In September Cara Delevingne powered her way down the catwalk for Burberry Prorsum in a dusky pink pencil skirt and lace embroidered shirt. These subtle shades are already taking over the high street with Topshop and River Island leading the way. Transparency is a must for your wardrobe this Spring/Summer. Light, airy fabrics combined with the purist white is the perfect trend for the season. It’s a modern take on leaving a little to the imagination. 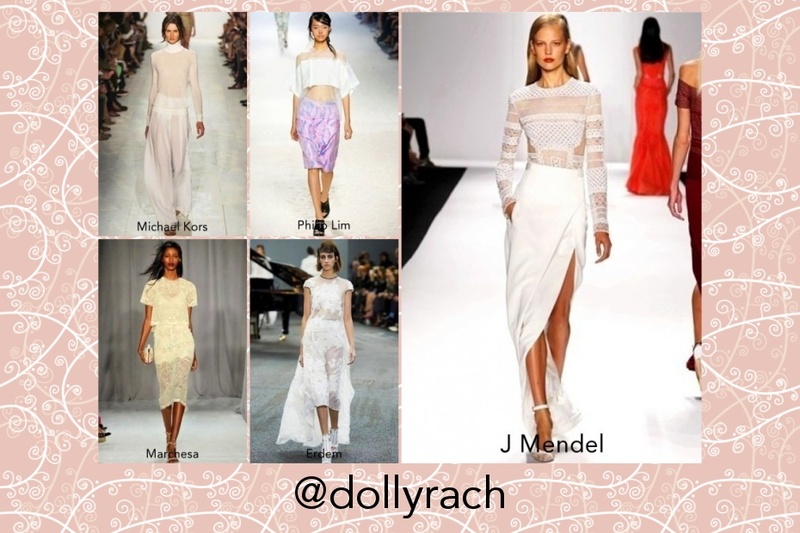 For Sheer inspiration look to Erdem, Philip Lim and Marchesa.